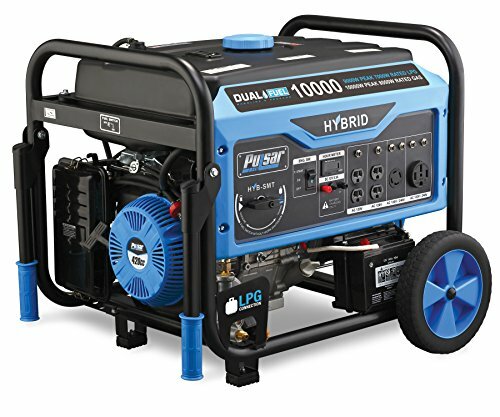 A dependable heavy duty generator with up to 10,000W output and the ability to use switch between LPG and gas/petrol even whilst running. The Pulsar PG10000B16 is a dependable hybrid generator designed to satisfy the most demanding power needs. It switches from LPG to gas while running and boasts a simple operation that appeals even to the novice. Its patented Switch & Go technology not only makes simple the transition between fuels, but it also guarantees continuous operation and extended runtime. This portable generator is the perfect home backup and adapts itself to recreational use. It can handle a wealth of household appliances, power tools, and even your recreational vehicle during those long weekend escapes. The PG10000B16 is packed with attractive features and comes at a competitive price. However, here are a few things you should consider before buying. The Pulsar PG10000B16 impresses with a reliable 420cc 15-HP overhead valve air-cooled engine with electric start backed up by a recoil system. Perhaps this is not the most competitive engine out there, but the generator is still a workhorse capable of delivering up to 10,000 watts peak power on gasoline. The manufacturer employed hybrid technologies to construct an engine capable of running on both liquid propane and gasoline. Up to 8,000 watts rated output and 10,000 watts surge power on gasoline. Up to 7,000 watts rated output and 9,000 watts surge power on liquid propane. Considering this rather negligible difference in capabilities, and keeping in mind that the average consumption of a household is 5,000 watts, it’s easy to say the generator is ideal for most homes. At the same time, this portable power plant is perfect for powering the most varied activities. Whether you need a reliable unit for your garage workshop, a small job site, or a portable generator for camping, the PG10000B16 can meet your power needs no matter what fuel you want to use. The ability to address varied demands is the key feature of any portable power generator. That’s why one of the most important things to evaluate before buying is the supported load. You must make sure the generator meets your needs. Keep in mind that some appliances or power tools require a dedicated outlet; otherwise, they could pose a safety risk, and this could easily reduce your generator’s capacity. The receptacles must also be capable to output the desired voltage (either 120V or 240V AC, or 12V DC). Investing in a generator with sufficient receptacles is crucial if you want to avoid the disappointment of having to choose to plug in either your fridge or your television. Luckily, with Pulsar PG10000B16, this will never be an issue. This power generator comes with multiple AC and DC outlets that can address all your power needs, no matter how big or small they are. Four 120V alternating current (AC) receptacles. One Twist-Lock 120V/240V AC outlet for dual voltage applications. A dedicated 50-amp 120V/240V RV receptacle. One 12V direct current (DC) outlet for vehicle batteries. Designed with user safety in mind, each receptacle is protected with a circuit breaker. Not only the circuit breakers reduce the risk of shorts and electrocution hazards, but they also protect your devices from sudden current fluctuations that could potentially damage them. The Pulsar PG10000B16 doesn’t excel in terms of run time, but it is not the worst generator either. It comes with a 6.5-gallon fuel tank which holds enough gasoline for a whopping 8-hour of continuous operation at half load. Running at full load will reduce the actual run time, but you can simply switch to propane when the gas tank runs empty to extend the operation time for as long as you like. It is easy to understand the actual run time on propane depends on the capacity of the propane tank and load, but more often than not, you will have at least a full 24 hours of autonomy before refueling. One of the best features of the PG10000B16 is the patented Switch & GO technology that allows you to switch between fuels at any time and without turning off the unit. A 3-in-1 digital meter and the fuel gauge are two praised perks that let you know when it is time to refuel. 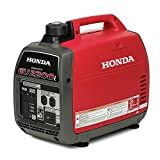 Although you will have to buy liquid propane tanks separately, the generator comes with a fitted propane hose that allows quick and easy hookup right out of the box. The Pulsar PG10000B16 might not have the longest runtime on gasoline, but it undoubtedly shines when it comes to the quality of its build. This generator has a robust construction consisting of a rigid powder coated steel frame that houses the engine. A great feature is the four-point engine mounting system developed not only to hold this component securely but also to reduce vibrations, resulting in smoother and quieter operation. On one side of the frame, there is located a folding handle that provides aid during transport and two sturdy legs, while on the opposite side the unit presents two all-terrain 10-inch wheels equipped with No-Flat tires. On the front of the frame is attached the intuitive control panel. 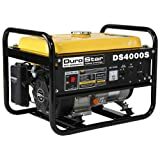 This dual fuel generator is easy to operate even by a novice. Something missing from the design is waterproof protection for the outlets. In fact, it is not recommended to keep the generator outdoors in an exposed position. A shed or another type of waterproof enclosure is necessary to ensure smooth operation in all atmospheric conditions. This heavy-duty assembly weighs over 200 pounds and at this weight, it certainly is not the most portable generator on the market. However, you won’t have to be Flex Wheeler either. Thanks to an exceptional well-balanced center of gravity, the Pulsar PG10000B16 is fairly easy to maneuver on flat surfaces even by women or elderly people who may lack body strength. Bumpy terrains, slopes, and paths with multiple obstacles might hinder the handling ease though. The annoying thing, however, is the misleading advertisement of the company which states their generator is designed for full portability. Technically, they are right, and the unit comes equipped with a convenient mobility kit. Nevertheless, calling fully portable a machine this heavy does not exactly correspond to reality. Yet, we must admit the PG10000B16 is compact enough to carry around with your RV and balanced enough to move with ease on flat terrains. If you are living in a residential area with strict rules regarding noise levels, the Pulsar PG10000B16 might not be the right unit for you. While modern generators tend to be quieter and quieter, this model is loud enough to get on your nerves and annoy your neighbors after only a few hours of operation. This generator has an operational volume of 76 decibels (dB), which is most likely rated at half load or lower. To understand how loud this generator can get, consider that 76dB is the equivalent of a passenger car passing at a distance of 25 feet. A noise level that high is annoyingly loud for some people. An exposure of 8 or more hours to such a loudness can also lead to serious hearing damage. The only way to silence the unit is by stopping it; alternatively, you can place it in a noise insulated enclosure and wear ear protection when working nearby. Sadly enough, this generator doesn’t come with a noise reduction muffler. Pulsar Products Inc. is the brand standing behind the PG10000B16 dual fuel generator. The company has a centenary history and is one of the most trusted manufacturers in the portable generators’ market. Pulsar Products is renowned for the overall quality and longevity of their machines. Most of their generators are not CARB compliant. Nonetheless, their competitive price makes them a top choice among many users. Besides the manufacturing quality, the brand is also famous for the wide assortment of generators capable of satisfying even the most demanding consumers. Their PG10000B16 is one of the most popular mid-level portable units out there thanks for the reliability of its rated and surge outputs. Another thing one should not underestimate is the length and conditions of the consumer warranty. Pulsar Products offers two years of residential warranty for its PG10000B16 model that covers labor and parts. Although one of the strongest warranties on the market, we must admit other brands stand by their products for longer periods. Nonetheless, it is hard to deny Pulsar enjoys the consumers’ trust and has an excellent reputation, two strong enough reasons to consider investing in their PG10000B16 generator. Another thing that can make or break the deal when buying a generator is the aftersales support. It is foolish to believe your machine will run smoothly from the first start until it dies after decades of service. Power generators, like all machines, need regular maintenance and perhaps parts replacement to ensure flawless operation. Unless you invest in a unit that enjoys strong aftersales support, chances are you’ll have to struggle with taking adequate care of your portable power plant. This isn’t an issue as far as the Pulsar PG10000B16 is involved. Coming from a reliable company, this dual fuel generator benefits from full aftersales support. The customer service team is friendly and problem-solving oriented. However, the support is only available by phone from Monday to Friday. Alternatively, you can contact them via email, by filling in the contact form on the manufacturer’s website. This is much more than many other brands offer. Yet, considering that many consumers would rather contact live support when given the chance instead of making a phone call, we believe its lack could be seen as a drawback by some potential buyers. All in all, Pulsar has indeed a strong aftersales service. It could certainly be improved, but you’ll still have the possibility to solve your issues without too much hassle. The PG10000B16’s price is undoubtedly the strongest feature of this dual fuel generator. This is one of the cheapest units compared to other generators in its class. Some people could associate its rather low price with low quality. However, the contrary is true. Pulsar is committed to offering top-end products at competitive prices. Producing affordable machines is one of their core values, and the brand knows that the longevity of their products also weighs in when determining the price. In other words, by investing in the PG10000B16, you won’t get a cheap power generator of mediocre quality. You will get a high-quality, durable, and reliable power generator at a fraction of what another brand could cost you. Independent testing can only speak of the quality of one product. However, it takes much more to assess the overall quality of the products we review. That’s why we always consult the consumer opinions and weigh them in before expressing our judgment. When it comes to the Pulsar PG10000B16, most consumers declared themselves happy with the purchase, overall features, and quality of the product. The generator has been described as dependable, heavy-duty, and easy to use. 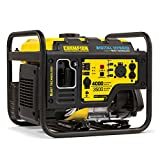 Most people have chosen this generator for domestic use, DIY applications, or to power up their recreational activities. The generator has also been favorably rated for low-demand professional activities. One of the major complaints was the generator’s incapacity of providing a constant output. This shouldn’t be an issue for most applications. However, it could damage sensitive appliances and devices unless you decide to power them through a UPS. Another thing users praise is the excellent balance between value and money. Buying this generator won’t drain your bank account. 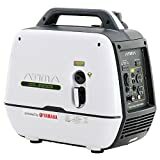 Power output: Finding a portable dual fuel generator capable of outputting 10,000 surge watts and available at an affordable price is a rarity. Switch & Go: Transitioning from one fuel to another is made simple by Pulsar thanks to their patented system that allows switching from gasoline to propane or vice versa with a simple turn of a dial. Operation ease: Pulsar has designed this generator with the average user in mind. Besides an intuitive control panel, the unit also comes with a comprehensive user manual. Portable: Despite its heavyweight, the PG10000B16 boasts an excellent balance and is easy to maneuver in most circumstances. Versatile: Equipped with an array of receptacles and outputting at least 7,000 running watts, this generator is ideal for domestic and leisure use. Dual start: This generator comes with a convenient electric start which is backed up by a recoil system. The electric start battery is also included. Noisy: This generator is one of the loudest on the market. It can easily become annoying when running at half load and it could easily drive you crazy when running at full capacity. “Dirty” energy: The PG10000B16 is not an inverter generator, which means its output could be affected by energy fluctuations. This could potentially damage your sensitive electronics, including mobile devices and laptops. Not CARB compliant: This dual fuel generator does not comply with the CARB regulations. Thus it can’t be purchased or used in California. The Pulsar PG10000B16 is not perfect. The manufacturer could improve its quietness and its energy output technology. Newer technologies could also mean a reduced weight, potentially higher output, and improved overall maneuverability. Yet, this dual fuel generator is one of the most cost-effective on the market. It is heavy, but it’s still portable. It has multiple outlets including a specific RV receptacle; it is easy to use, and even lets you transition from gasoline to propane without turning off the engine. This generator incorporates high-quality components praised for their longevity and reliability. You can expect years of dependable service, friendly customer support, and a strong warranty. All these, combined with an affordable price, can only mean excellent value for money. The Pulsar PG10000B16 is undoubtedly a great choice for those who need a mid-range dual fuel generator.